A ‘computational camera’ claimed to be capable of creating 52-million-pixel images in a pocket-sized device is being developed by US start-up firm Light, for launch next year. In contrast to a DSLR or CSC, the Light L16 uses multiple cameras to shoot images simultaneously at multiple focal lengths before fusing the images together. 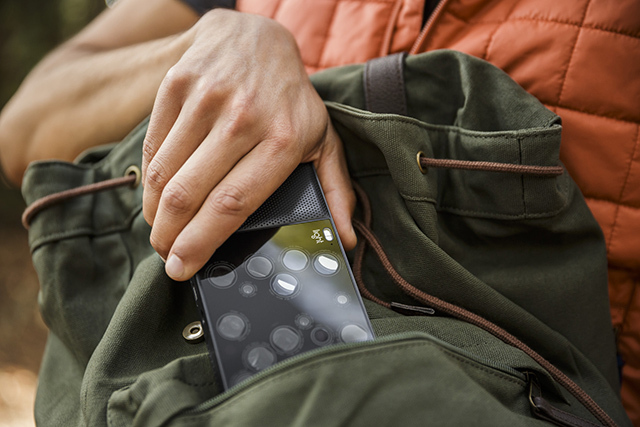 ‘By shooting an image at multiple focal lengths, the L16 captures more data in every shot, allowing you to enjoy the moment and make adjustments like depth of field later,’ claims Light. The ‘travel-friendly’ L16, which is set to carry a US price of $1,699 when it goes on sale next summer, is built to be smaller, lighter and provide ‘better image quality than any camera in its price class’. ‘Light’s innovative technology flattens and redirects the optical components in the camera, allowing for a sleek and steamlined design,’ says its creators. 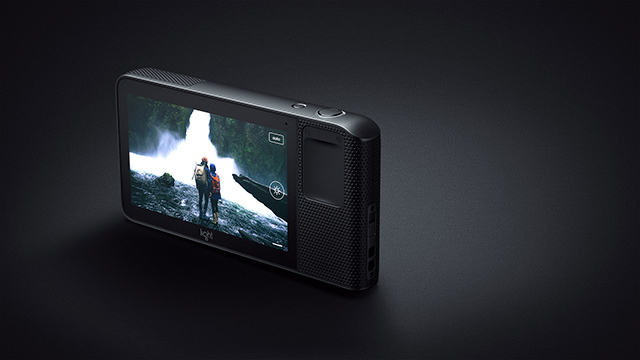 The L16 will feature a built-in 35-150mm optical zoom, and a touchscreen for in-camera editing and sharing images to social networks. Light co-founder and chief technology officer Rajiv Laroia said: ‘The Light L16 was designed specifically to eliminate the trade-off between the quality you get with a DSLR, and the convenience you get with a cell phone. ‘I wanted the camera to be easy, so that anyone could pick it up and instantly get amazing pictures with that “magic” quality. ‘I wanted it to be small and light enough to go where I go. And I wanted to design the entire camera experience around the way we share our pictures in the modern era – on Instagram, Twitter, Tumblr and Facebook. ‘So instead of asking how we could make the same old concept of a “camera” smaller and lighter, we started from scratch. Fellow co-founder and Light CEO Dave Grannan added: ‘Our lives are made up of many moments. Some are big and impressive, and others are quiet and meaningful. Photography is about finding these moments and capturing their magic in a single frame. ‘Until the L16 camera, this required expert knowledge, heavy equipment and high prices. Light, which is based in California, was formed in 2013. For further details, visit the Light website.